Are you looking for the perfect gift for your Car Guy? Whell here it is. 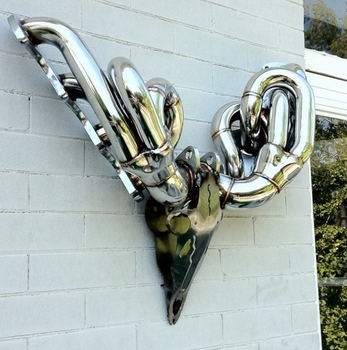 This V8 auto antler is designed from v8 exhaust headers and look perfect in any setting. Dimensions: Height 21 1/2" Width 34"